A guide to Brawl Stars' Piper. We go over the Brawler's strengths, weaknesses, and strategies in each of the game's modes. Piper is a brawler who specializes in long-range combat. Her basic attack gets stronger the longer it travels, so keeping distance is key to maximize her damage output. She is rather dependent on what kind of map she is playing at, not necessarily the game mode; she is better suited for maps that do not have much obstacles, since she can line up her attacks and snipe enemies away. Got You in my Sights – Piper is one of the better long-range damage-dealing brawlers in the game. Her Gunbrella has long range, and the projectile flies at a reasonable speed, though some players might take a while to get accustomed to her basic attack. But once you get the hang of it, she can deal massive damage for her team! Cheerio! 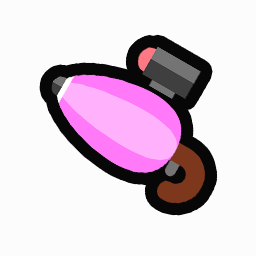 – Piper’s Poppin’ Super Attack allows her to sweep up into the air, leaving grenades on the ground she left. This is a great way to disengage and keep the sniper safe from any enemies who creep up on her. RELOAD! RELOAD! – While Piper has a strong basic attack, her reload speed tends to be on the slower side. Sine her gameplay revolves around shooting from a distance, her slow reload speed creates windows where enemies can advance on her. 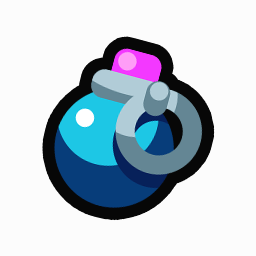 Players will have to be careful with their aim to ensure that enemies feel the full impact of Piper’s attacks. Squishy – Piper is a glass cannon: high damage but low health. Once she gets cornered, she is very squishy and can be shut down quickly, especially by close-ranged brawlers. Gunbrella Piper fires a sniper shot from the top of her parasol. The shot gains more oompf the farther it flies! Keep your distance from opponents. Piper does the most damage when hitting enemies just at the edge of her range. Try to predict where the opponent will move and lead your shots accordingly. This is important since your long range attack takes a bit of time to reach its target. Poppin’ Piper hops away to avoid pushy suitors. She leaves them a lady’s favor though: three live grenades from her garter! Use Poppin’ to get away from danger. You can destroy walls using the bombs, so keep that in mind when you’re in a tight jam. Poppin’ also pushes enemies away. Remember this when you’re being swarmed or need to protect a point. Piper cannot be damaged while flying, making Poppin’ a wonderful escape mechanism. Piper’s role in Gem Grab is to snipe enemy brawlers while her team collects as much gems as possible. Use your high damage to punish enemies who try to advance on the gem mine or pick off enemy gem carries. Be sure to be in the optimal position when covering your team – you can use Poppin’ to destroy any obstructions to make sure you have a clear shot. Solo – use the brush often and take pot shots at enemies whenever you can. Admittedly, Piper is not a good pick in Solo Showdown since most of the maps favor close range brawling. Duo – Provide covering fire for your teammate. Piper shines when she is able to see opponents and tag them from afar. Avoid death from any who sneak up on you by using Poppin’ and floating away. Piper is not the best choice for Heist, needing a clear shot at the safe in order to whittle it down at all. Should neither she nor her teammates manage this, she should focus on picking enemies off to make assaulting the safe easier for her allies. Bounty is where Piper shines. She can pick her spot and snipe down opponents to gain much-needed stars for her team. If she gets into an inconvenient position, she can Poppin’ outta there and regroup with her team to continue with her long-range pressure game. Piper is not a good pick for Brawl Ball. Outside of pelting enemies from a distance, her kit isn’t well suited for this game mode. Most Brawl Ball games see players rushing the opposing team’s goal to shoot the ball, which is not something that Piper can really stop. Brawl Ball courses tend to have a lot of walls and turns, making long shots rather difficult. Piper is average as a Boss in Big Game mode. She hits hard, but enemies will be ganging up on her and making long shots difficult. As one of the brawlers, Piper can sit back and tag the Boss Brawler from afar for massive damage. Aim your shots carefully to get the most out of your Gunbrella hits. Piper is not a good option in Robo Rumble as she can have trouble with robo swarms. You can try to herd them by weaving around the walls and paths, but she will eventually have to hit them. Her basic attack isn’t the best attack in this mode since it only hits one enemy.